One major proponent in determining taxes are the receipts presented by an individual or company. 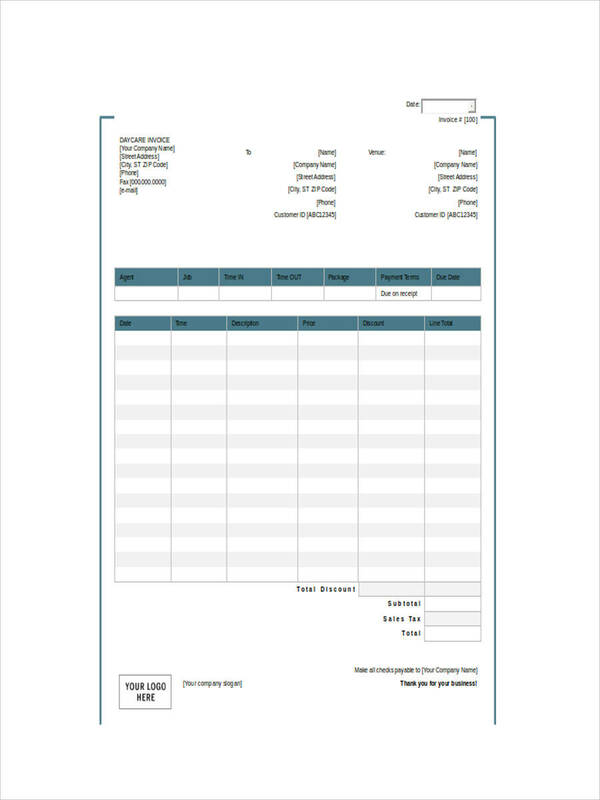 Receipts play a major role in the computation of taxes and tax returns. As with a constructive receipt of income, individuals are taxed basing on the annual income it makes whether that income has not been physically received or will be made available for him to draw upon in the near future. 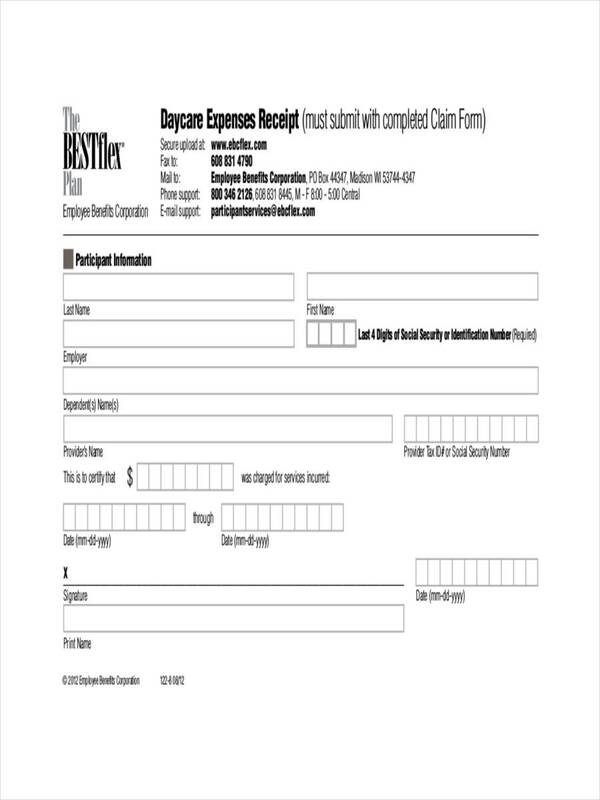 Whether it is to set up receipt of payment or bill or daycare payments, examples in the page can generally point you in the correct direction of making your very own receipt. 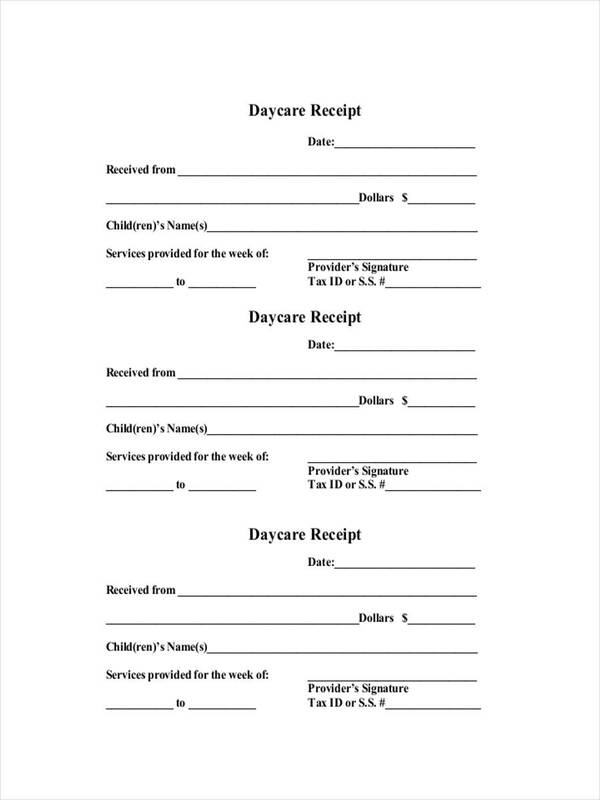 What Is a Daycare Receipt? 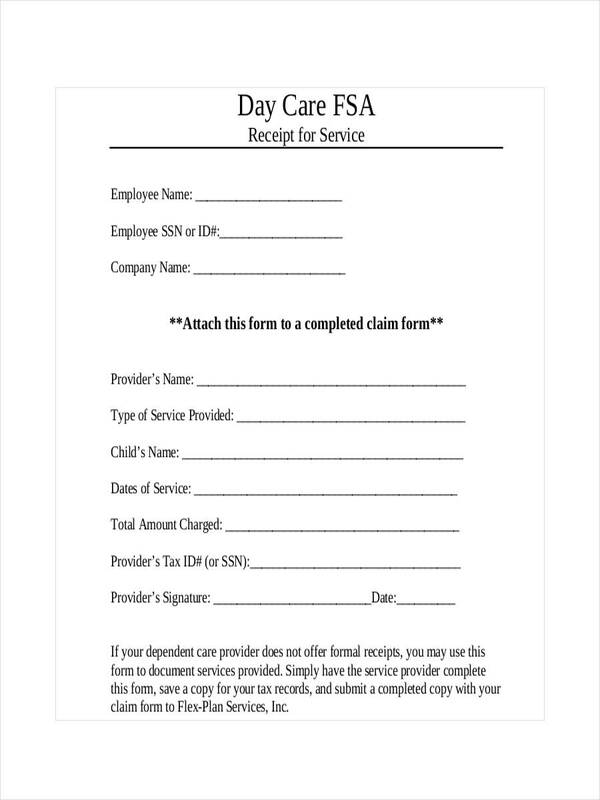 A daycare receipt is a receipt issued by a daycare provider for the services provided specifically custodial care for their child or children while at work. 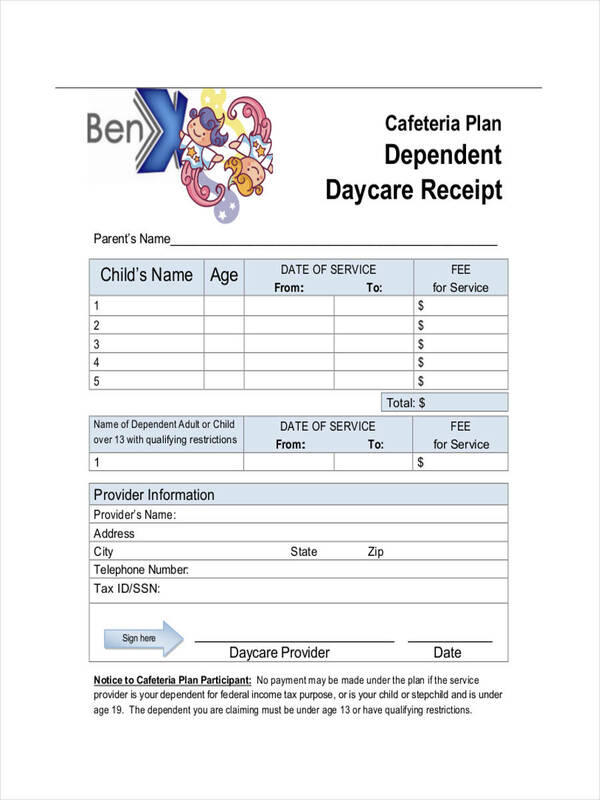 Like deposit receipt examples, a daycare receipt contains information regarding the daycare provider and the amount paid for the service. What Information Is Required in a Daycare Receipt? 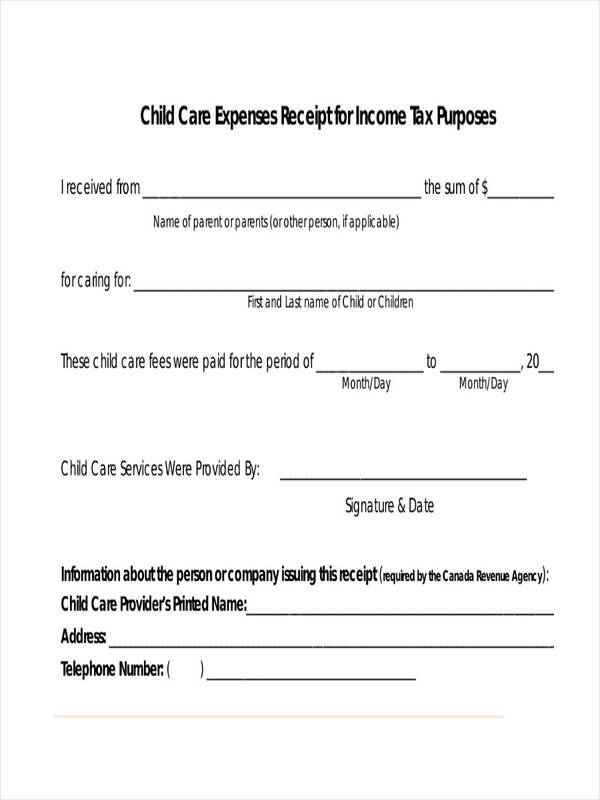 The issue of daycare receipts are not common to independent or stay-home daycare providers. There is still a lot of discussion going on regarding the regulation of the business in connection with independent and stay home daycare providers. Professional daycare providers have issued state licenses. Depending on which state, independent daycare providers are not allowed to conduct business unless a license is provided. 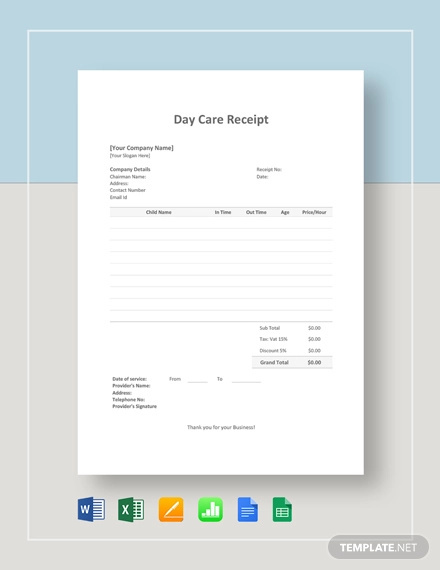 Receipt examples in PDF are shown in the page for further information regarding daycare receipts. The samples are available for download by clicking on the download link button below the sample. There is still much discussion involved regarding the legitimacy of daycare providers. Professional daycare providers have licenses that allow them to conduct their business in a state. However, some states do not require licenses from independent daycare providers and thus these providers are allowed to conduct their business. Like any salary receipt example, acceptable receipts for daycare expenses very from state to state. the full name and contact details of the daycare provider with accompanying signature. the daycare provider’s social security number in order to claim for daycare expenses in the filing of taxes. 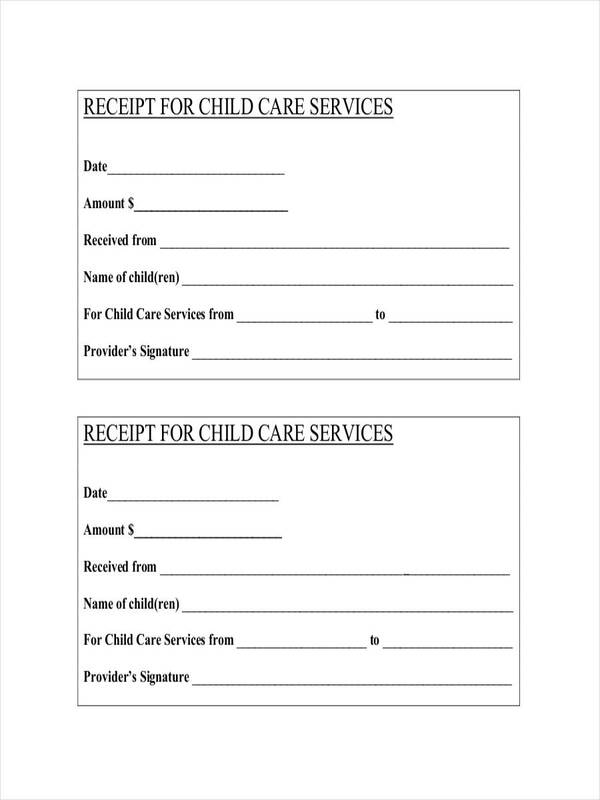 Examples featured in the page show daycare receipts that may be used as basis of making your own daycare receipt. 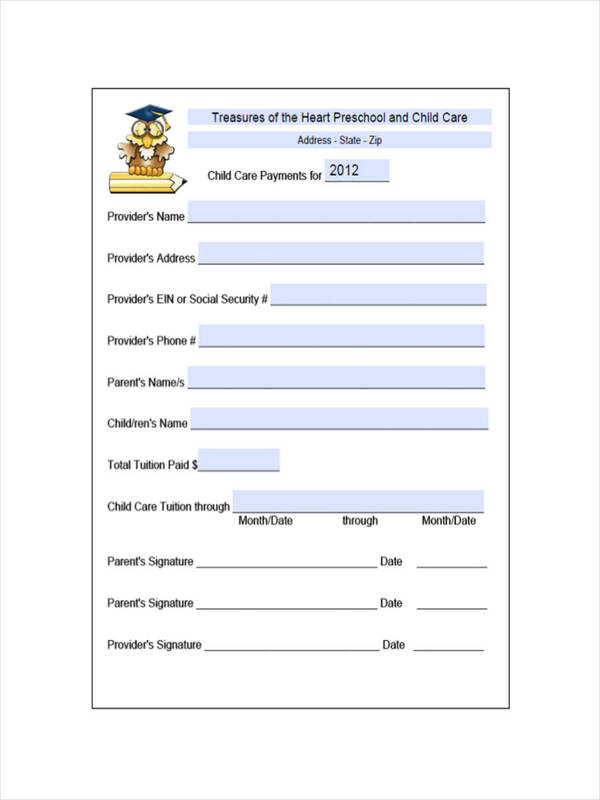 There are certain states that send out forms regarding claims for daycare expenses and should be available from the office of the secretary of state. 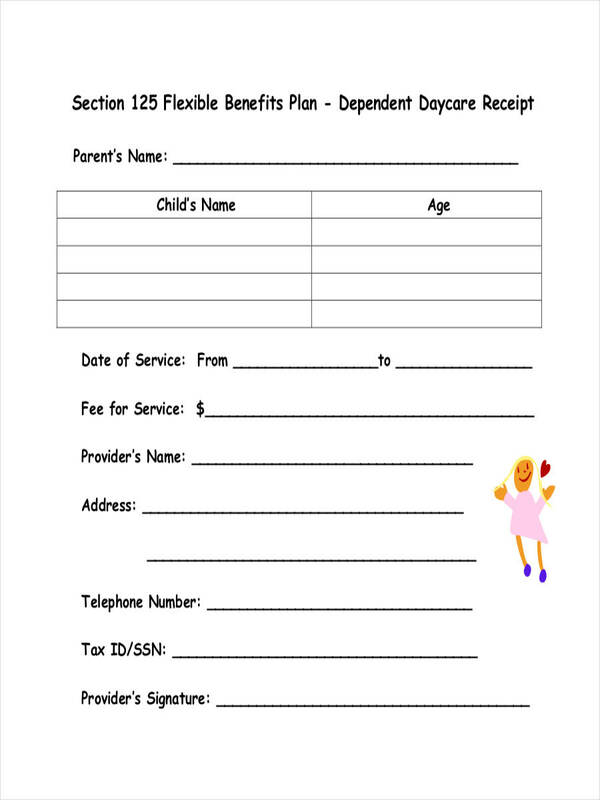 Filing of these forms have to be made before the end of every financial year and the daycare provider must also provide you with the receipts days before the final filing of taxes for you to be able to adjust and include claims.